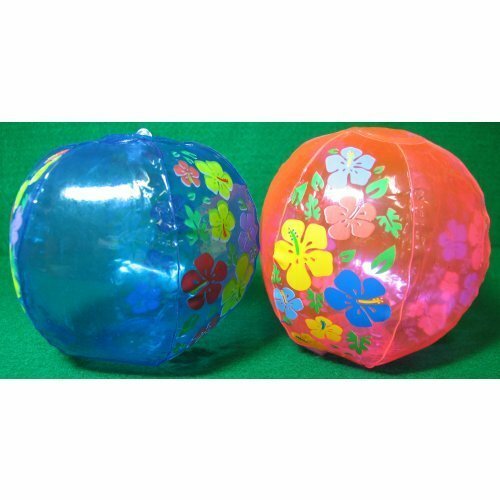 Inflatable Hibiscus Beach Balls. These beach balls are fun to throw around at the beach or pool! With bright colors and a Hawaiian design these inflatable vinyl balls make fantastic party favors. Inflated approx. 5 deflated 7.